Hi Buzzers!! Baikan lake is one of the oldest lake in the world. This lake in Russia is worth a visit for all globe Trotter in the world!! You will find various natural and supernatural phenomenon which will make you in awe!! Check this out and keep it in your bucket list! 1. Lake Baikal in Southern Part of Russia is the World’s deepest and ancient lake which created 25 million years ago. 2. Lake Baikal has a surface of 31,722 square kilometers which make it as the seventh largest lake in the world. 3. 20% of the world’s unfrozen water is in lake Baikal. 4. Because the beauty and icy white ice in lake Baikal, It also has a nickname as “The Pearl of Russia”. 5. Lake Baikal also rich of biodiversity and ecology such as freshwater Baikal Seal (Pusa Sibirica). The diversity in this lake give Lake Baikal a title as ” The Galapagos of Russia”. 6. The mystery of Lake Baikal is the appearance of a Water Dragon Monster called Lusud-Khan or Usan–Lobson Khan. 7. 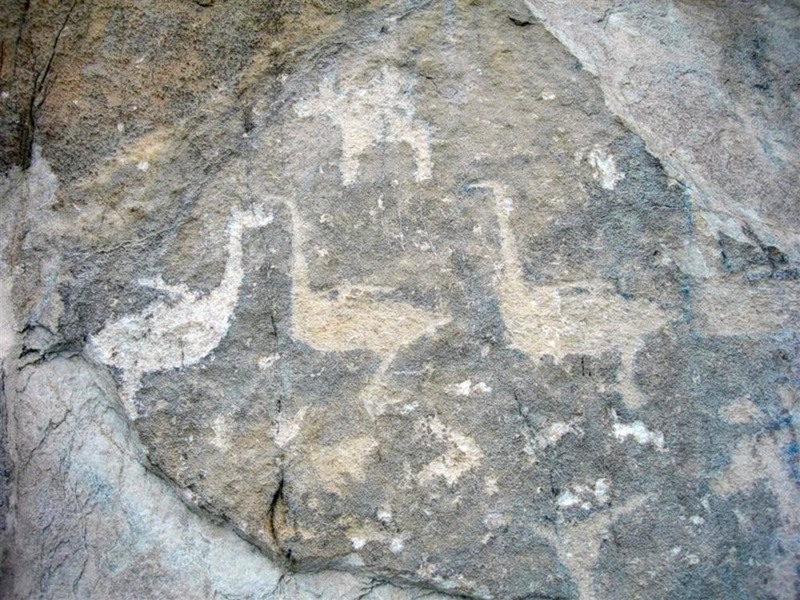 Some evidence of the existence of the monster are in ancient petroglyphs along the Baikal Cliff and Stele (a carved stone monument) near the village of Askiz from the 3rd and 9th century BC. 8. The third largest Island in the world, Olkhon island in Lake Baikal is said to be the birth place of Genghis Khan. 9. Some areas in Lake Baikal is famous because its bizarre activities which make many ships disappear. From UFO base in the depth of the lake Baikal to Devil’s crater; a sudden whirlpool that swallow ships. The locals even think that Cape Ryty, the island of the Great Ushkan’i, and Olkhon island are cursed islands. 10. The lake also has a bizarre natural phenomenon which occurs in 2009. At that time there were circles on the surface of the lake Baikal with diameters up to 4,4 km. The phenomenon was believed as a result of methane gasses that created swirling warm water currents and formed circular formations on the lake. Previous article Most Amazing: 5 Spiritual Shamanism Festivals in The World ! 7 Fancy Shopping Places in Uruguay to Find Souvenirs!